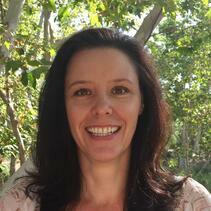 Patricia Byrne serves San Diego Zoo Global as a Senior Research Associate in Reproductive Sciences. In this role, she is involved with the development and use of new techniques to improve the management of birds in zoological populations. Her work also includes the development of techniques to rescue and restore germline stem cells from endangered birds. Patricia’s current research includes the development of germline stem cell cryopreservation protocols. She is also focusing on the sterilization of host embryos and xeno-transfer of germline stem cells from endangered species. Patricia earned her bachelor’s degree in Business Management from Trinity College, Dublin, Ireland and her master’s degree in Biological Sciences from California State University San Marcos. She is an adjunct faculty member in the Biology Department at California State University San Marcos.